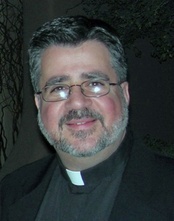 Dom Elias R. Lorenzo, a monk of the Abbey of Saint Mary, has been appointed the new Prior of Sant’Anselmo in Rome, the international house of studies for Benedictines. As prior Dom Elias will be working with the Abbot Primate, Notker Wolf, as the man in charge of the daily running of the monastic community, the superior of the monks and he’ll work on special canonical projects for the Benedictine Confederation, especially with the Holy See. His competence, insight and humor will be well-received in Rome as it has been at his home abbey (as I can attest) and in his other ministries. Dom Elias succeeds Dom Michael Naughton, a monk of Saint John’s Abbey, Collegeville, MN. May God abundantly bless Dom Elias!